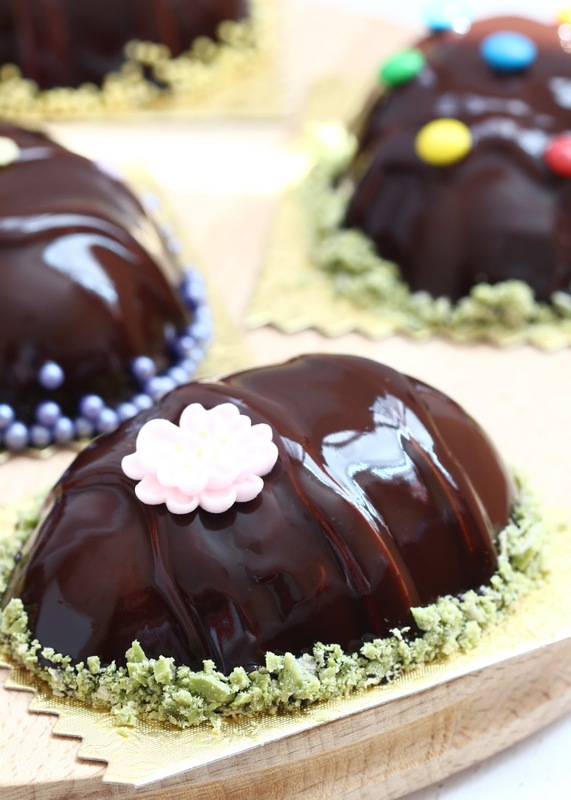 my bare cupboard: Sea salt-chocolate and raspberry petit gateaux "
Are you giving up social media for Lent? Thinking of making another go at croissants but I was craving something chocolatey and eating a bar of chocolate just wouldn't cut it. 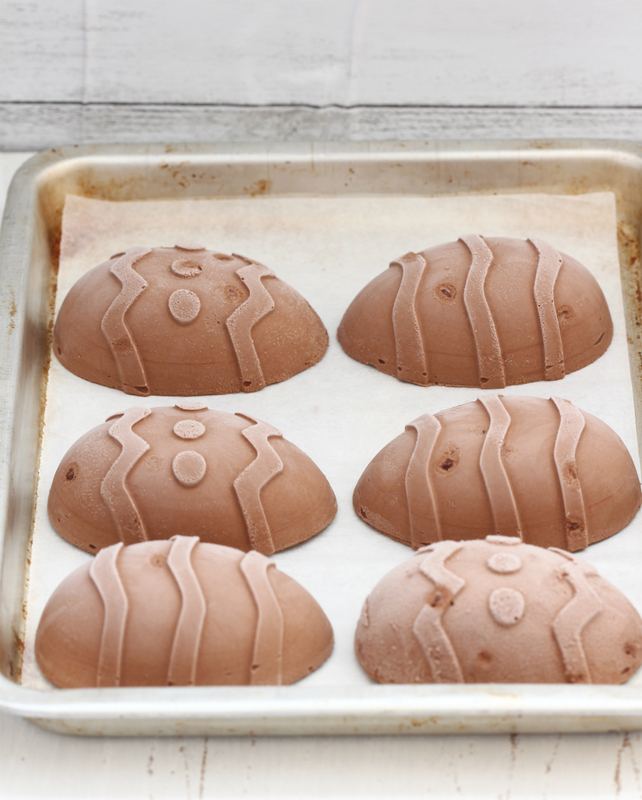 And because it's Easter, what better way to make than en egg-shaped dessert. 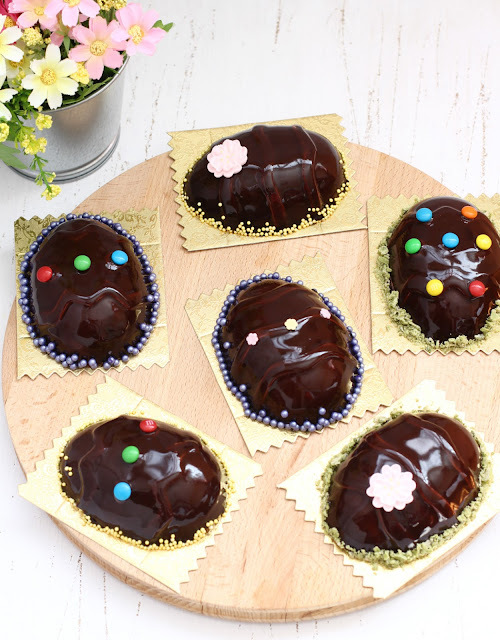 Or in this case, a half egg-shaped mini entremet. This entremet is probably the easiest I've made so far, with one component, a fruit that needs no cooking and no baking involved whatsoever! Baking a sponge is so tiresome so I decided to make a pistachio feuilletine, it's actually easier to make it than to pronounced that f word! Ha! It certainly adds a delicious texture and flavour to the cake, sadly, the pistachio flavour is muted. The salted chocolate mousse on its own is worth making. If you don't like the look of the sea salt flakes to mar the almost smooth surface of the mousse, as you would see from the unglazed mousse below, you can add all the salt to the warm melted chocolate instead. You can add more sea salt if you like. * Line a baking sheet with silpat. * Melt chocolate and cocoa butter over a pan of barely simmering water. Add in pistachio paste and stir until combined. Take pan off heat and fold in the feuilletine. 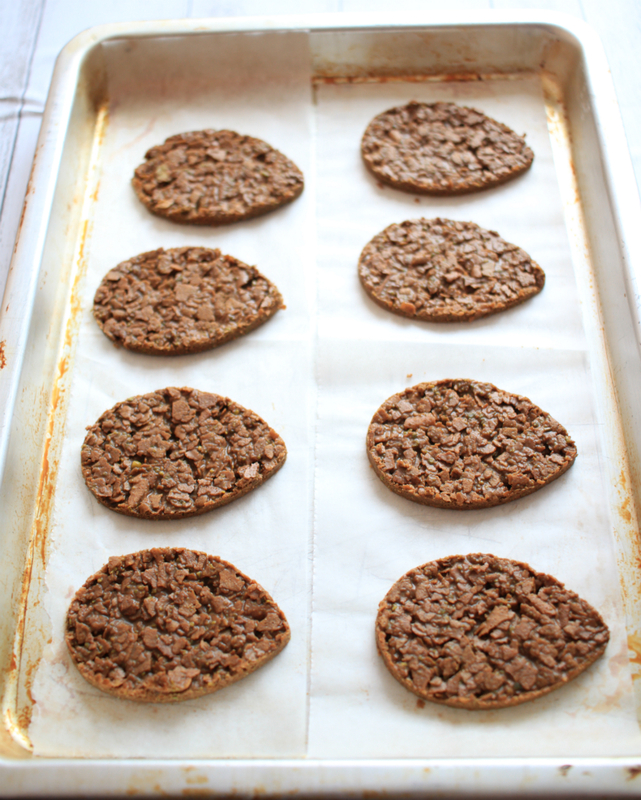 Spread out thinly into the prepared tray, 7 by about 11-inch rectangle. * Place in the fridge for about 5 minutes or until semi-set. Use a cutter (about 3x2-inch) to cut as many as you can. Place back into the fridge until needed. You can eat the scraps, very addicting and so delicious! * Soak gelatin in cold water until softened, 5-10 minutes. * Beat cream until stiff peaks form, do not over mix. Chill in the fridge until needed. * Melt chocolate over hot water, stir until melted. Take off heat and stir in 1/2 tsp of the sea salt, set aside. * Whisk egg and sugar until light, smooth and creamy. Bring milk to a boil and add it gradually to the yolk mixture, whisking as you pour to prevent curdling. Pour back egg-milk mixture into the saucepan and cook over low heat until thickens, about 5 minutes or until temperature has reached 160ºF. * Squeeze off excess water from softened gelatin and add it to the hot custard, stir until completely melted. Strain mixture and add to the melted chocolate, mix thoroughly. Fold in the whipped cream and stir in the remaining sea salt. 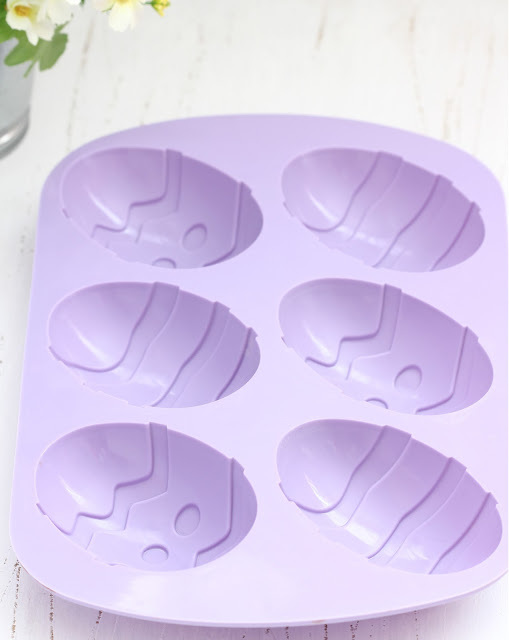 * Pour or pipe mousse halfway into each mould cavity, shake the mould to prevent air pockets. 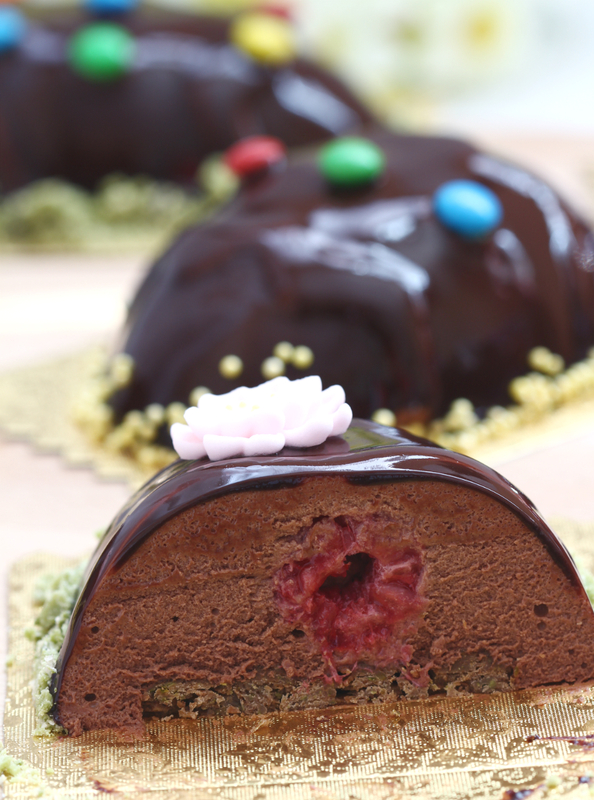 Add in 3 pieces of raspberries in each cavity, cover with more chocolate mousse and fill it up to the rim. Add in the feuilletine, gently pressing it down and pipe in more mousse to the sides. Use a metal spatula to smoothen the top. 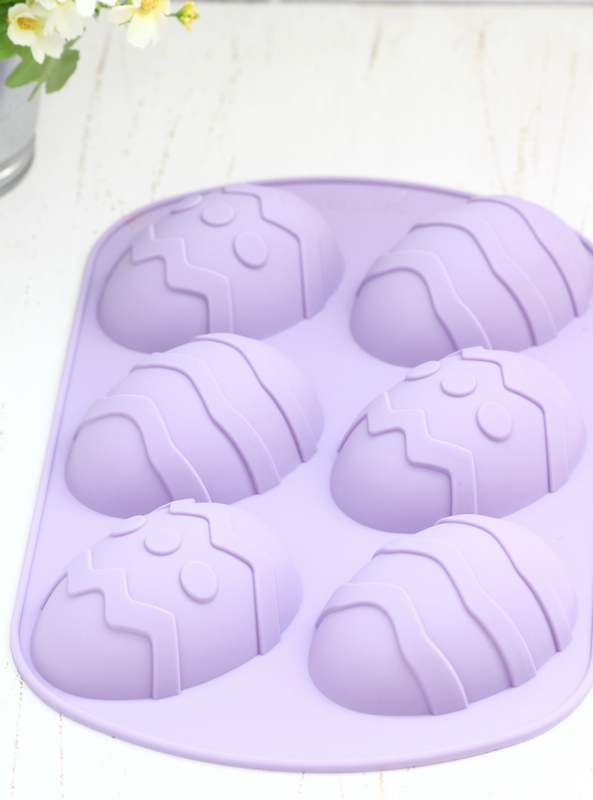 Shake the filled mould again, place it on the baking sheet and freeze for 4 hours preferably, overnight to set. * Unmould frozen mousse and place in a parchment lined baking sheet or in the wire rack and put it back into the freezer until needed. * Place water and sugar in a saucepan, bring to the boil, turn down heat to low and continue to simmer for 2-3 minutes. * Add the sifted cocoa powder and cream. Bring back to the boil and simmer for another 4-5 minutes. Take pan off the heat and add the softened gelatin, stir until completely melted. * Strain through a fine sieve, let cool to 86ºF before using. * You can make the glaze a day ahead, cover the top with plastic wrap to prevent skin from forming, and chill in the fridge. Re-heat before using. 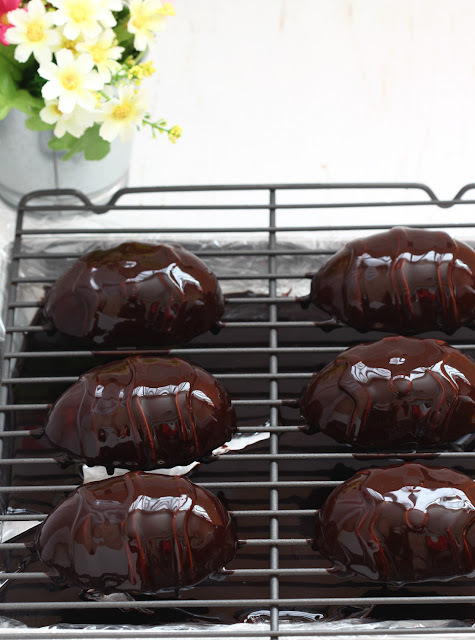 * Line the baking sheet with plastic wrap to catch the dripping glaze. 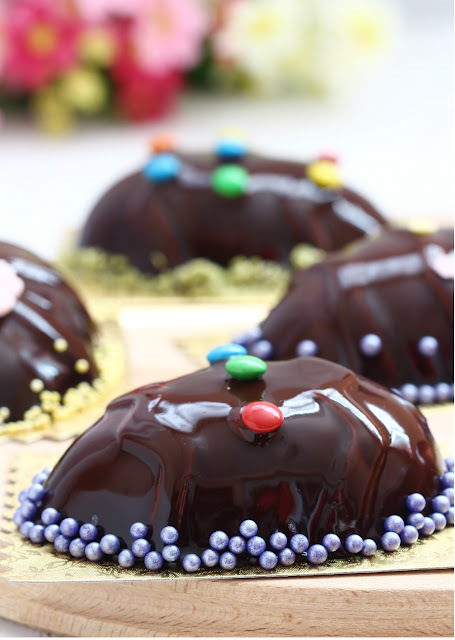 * Glaze the egg-shaped chocolate mousse, once or twice, according to preference. 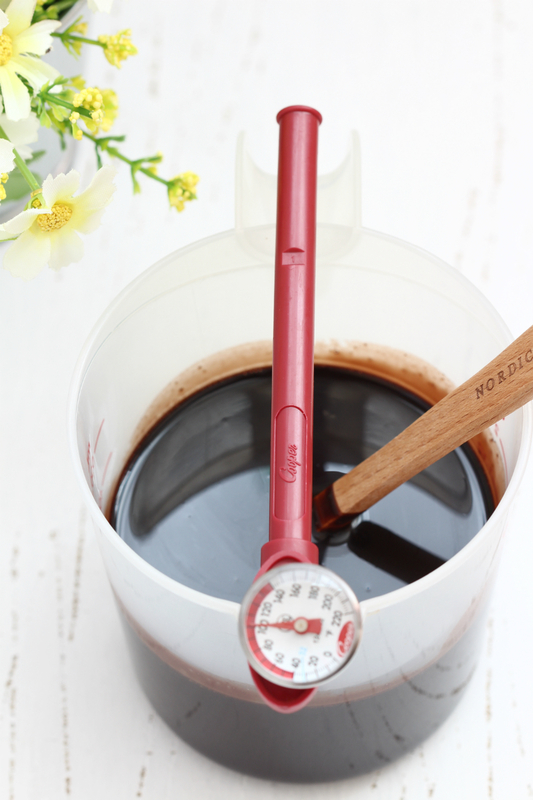 If glazing it twice, pour back the glaze from baking sheet into the plastic jug and glaze again. * Transfer to the fridge to set for 10 minutes. Using two metal spatula, gently lift each petit gateaux and transfer into a small cake holder. Put them back into the fridge to defrost for at least 2 hours. * Decorate each piece with the prepared candies and sprinkles. Place back into the fridge for about 30 minutes before serving. Cute and fun! Wish I had so much patience!